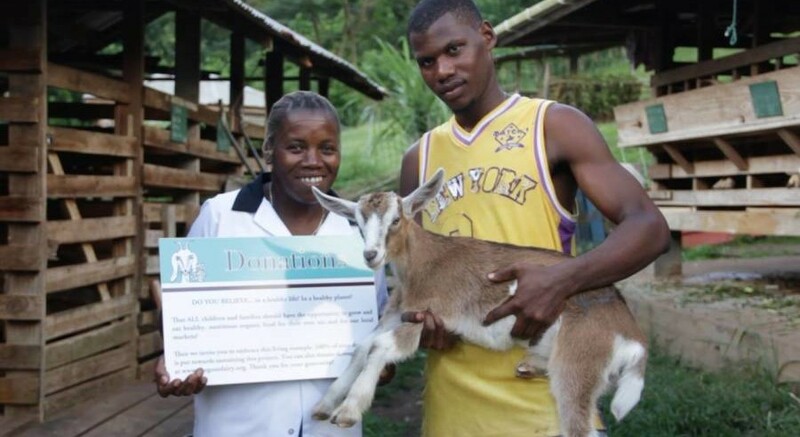 The not-for-profit Grenada Goat Dairy, based at Belmont Estate, is going to be the focus for a documentary film being produced in Grenada in 2015. Grenada & the Goats is an indy, social issue documentary being produced by Scottish film maker Aidan Nicol in partnership with local production company Brainstorm Productions heading up the Grenadian team led by Amanda John. The film will invite us to consider the global issues of food security and the impact of the industrialized food system on small islands, like Grenada, who now rely heavily on imported products. Told intimately through the experiences and stories of the dairy’s small team based at Belmont Estate, a farmers network across the island and pupils at St Patrick’s Anglican School we will find out how The Goat Dairy is attempting to buck the trend for imports with its green, holistic approach, and see if Grenada could lead the way as a model for food security in the region and beyond. Drawing on the warmth and beauty of the islands natural landscapes and people the film will be a love story to Grenada, as it takes on the industrialized world, one goat at a time. Amanda and the Brainstorm team said they are delighted to be crewing and co-producing the production, and keeping it local. The film team will be working very closely alongside The Grenada Goat Dairy and have already gratefully received support from The Rainbow Inn, Grand Bras, during pre-production. The film, intended for local and regional broadcast, as well as the international film festival circuit, will be going into production later this year.